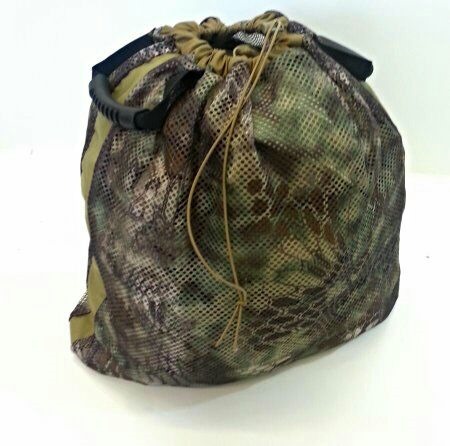 0241Tactical unique Wet/Dry Mesh Bags keep all your belongings secure and breathable keeps a user’s possessions safe, clean, and organized for storage or transportation. These bags can also be suitable options for holding wet or soiled kit or clothing. Great for wet or dirty clothing you want to keep separate from your belongings. 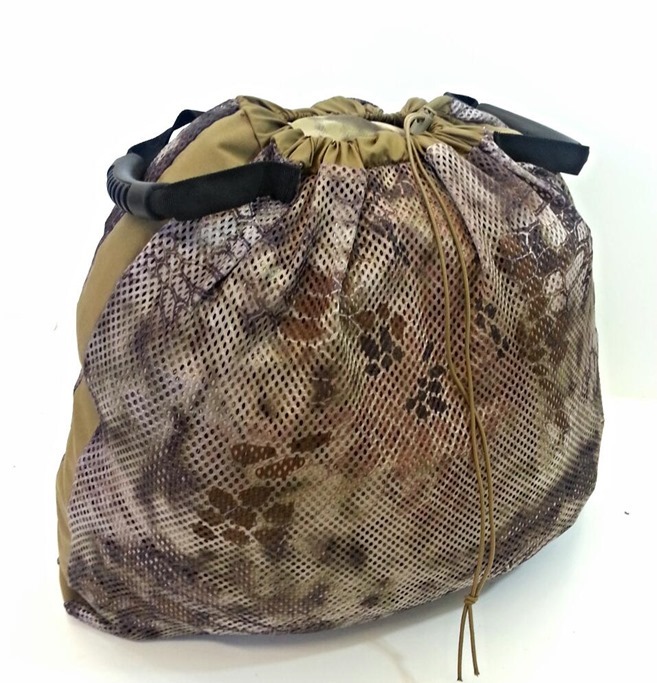 Our Wet/Dry Mesh Bags are large enough to hold dive fins or other outdoor aquatic gear. Our 100% American made materials combine a high tear strength matrix with the ability to support and/or conceal almost any object. The 100% polyester mesh structural design, with 2mm hole diameter, offers high breathability and a unique camouflage look. This product is commonly used for concealing vehicles and creating lightweight & high strength tactical gear.